By using this website and services you agree to be bound by the terms and conditions set out below, so please read the following carefully before placing your order. Please also read our Privacy Statement regarding personal information provided by you. We aim to please with our terrific smoked goodies, impeccable service and rogueish charm. We make every effort to ensure that your order arrives in the best possible condition, and we use specially designed insulated packaging and chiller packs to do this. Our nifty packaging should keep your order in pristine condition for up to 72 hours. If for any reason you’re not absolutely satisfied with your Chesil goodies, we will either exchange or refund your choice. We take payment at the time of ordering, rather than at the time of dispatch. This is to help avoid any last-minute hitches that might delay your delivery. We’re not able to accept an order until we’ve checked and approved it, and if there is a problem we’ll be in touch within three working days. Whilst we’ll be happy to send a message from you to the recipient of the package, we reserve the right not to send a message that may contain offensive and/or inappropriate content. We aim to send out products with at least 7 days shelf life on them. Frequently the dates will allow for longer. Just occasionally, we may need to change one or two items in the pressie boxes – but we’ll do our level best to contact you in advance should this be necessary. Our systems are secure but if you’d rather not order online, then just give a member of the team a call. You’ll see our number at the bottom of every page. If we don’t have any part of your order immediately available, we’ll ring you as soon as politely possible to discuss whether you want to wait or alter your order accordingly. We do have a shop at the Smokery, open on weekdays 9am-5pm. No one is perfect, so if you have any gripes, quibbles or even whinges – please don’t hesitate to tell us. We promise to either replace or refund as soon as humanly possible – stopping just short of parachuting in replacements. Our couriers provide a 24 hour delivery service, though there are some annoying occasions when this becomes 48 hours. You will be able to track the progress of your parcel as soon as it leaves our Smokery. The moment you get your hands on it; please put the contents in the fridge (or freezer if you prefer) without delay. When opening one of our packs, please leave the contents to ‘breathe’ for at least 10 minutes before devouring them – that way they should be at their very best. All our products freeze brilliantly – some of them, such as the slice smoked salmon and trout, thaw very quickly as well. Our special packaging, along with our chiller packs, is rated to keep the temperature below 8 Degrees for 72 hours – which is the legal requirement as laid down by the food police. All orders to Mainland United Kingdom will be delivered using an overnight carrier, and will be dispatched within 1/2 days of receiving your order unless delivery request is sooner & stock permitting. Delivery is £8.95 for orders up to 10kg. Highlands, Islands and Overseas are not included, please contact the office for individual prices. Delivery to Isle of Man, Isle of White, Jersey & Guernsey will be dispatched using 1st Class Royal Mail (delivery 1-2 days). Overseas orders are sent at the purchaser’s own risk. Your orders are processed as soon as the order has been received by ourselves, unless a specific date has been selected. International orders vary in time scale to each country, you will be contacted by phone to give you a ETA. All Orders received before noon will be eligible for next day delivery, orders received after noon will be dispatched the following day. In the unlikely event that we’re unable to fulfil your order and dispatch within 3 working days, we’ll be in touch with you directly to discuss alternative plans. If we’re unable to supply what you want, when you want it, we’ll refund your account if an alternative is not suffice. Our deliveries are handled by an independent courier, therefore we cannot take responsibility for delays in delivery which fall outside of our control, including industrial action and subsequent disruption to service. We endeavor to keep our customers informed so that they’re aware of the situation and know when to expect delays. Our products will be adequately packed to survive expected transit time in tip-top condition. Our products don’t normally fit through a standard letter box, so if there’s nobody at home to receive the package, then it may have to be collected from your local depot, unless specific arrangements have been made, for example, instructions for the courier to leave the package with a neighbour. The content on this website is provided ‘as is’, and Chesil Smokery Ltd. gives no representation or warranty as to the accuracy of the content and assumes no responsibility for errors or omissions in it, or the effect it has upon your computer. This site includes links to other sites on the Internet. 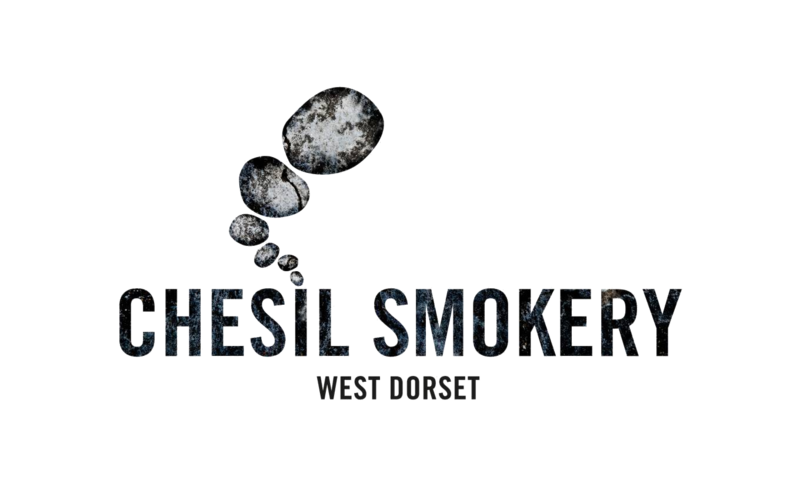 Chesil Smokery cannot vouch for the suitability or accuracy of the content of those sites and so you use them at your own risk. Any references to linked sites or to third-party companies, products or services by name does not constitute or infer its endorsement by Chesil Smokery Ltd. The information available on the site might from time to time be incomplete, out of date, or inaccurate. Chesil Smokery reserves the right at any time and without prior notice to make changes and corrections to the material on the site, or to make parts or all of this site unavailable at any time, without notice. Chesil Smokery disclaims all liability in respect of all information and its provision, and shall not be liable for any loss or damages suffered as a result of any use of the site. Although Chesil Smokery aims to keep this website up-to-date, it does not guarantee its accuracy. Though Chesil Smokery does try to make this site as useful as possible, none of the material it contains is professional advice or a substitute for it, and cannot be relied upon as such. These conditions of use are governed by English law and any dispute connected with this site is subject to the exclusive jurisdiction of the English courts. Chesil Smokery may change these conditions of use from time to time. You will be bound by changes even if you do not re-visit this page to re-read this notice. Please note that these are Chesil Smokery’s terms and conditions of use and if you do not accept these conditions, you must not use this website or services. We do request personal information such as your name, email address, company details, etc. which you can choose to provide when you subscribe to our newsletter, enter competitions, provide feedback, etc. This information helps us understand a little more about our consumers, but please be assured that we never share your details with third parties unless you give us your permission. Most web browsers automatically accept cookies, but you can usually change your browser and refuse to accept cookies by ticking the appropriate options in your browser. However, if you choose not to accept cookies you may be unable to access certain parts of our website. All data is controlled by Chesil Smokery Ltd.
We source our fish from an offshore Scottish Fish farm which is situated in areas of strong currents and big tides – this means the Salmon swim far more, which produces a leaner and meaner texture – no ghastly oiliness with our fish. These come from our own farm, where sparkling springs feed our 38 ponds full of brown and rainbow trout. We’ve been raising fish for re-stocking into the rivers and lakes of southern England for nearly 40 years. Such fish have to fight like tigers and be perfectly formed. Therefore, we’ve always produced less fish per pond than a table farm and feed them like the champions they are – so they’re not the flabby, muddy tasting creatures that you’ve so often been passed off with. They’re as close to wild trout as you’ll ever find. Quite a few of our regulars prefer the smoked trout to salmon. In times of high demand, we source trout from old friends who have a farm on the legendary river Test. We can’t taste the difference. These come from the north sea for the finest quality and consistently large size. They arrive here full of oil and goodness. Our smoked mackerel are not the dried out husks that you’ll find hiding in your local hypermarket. Again, we use fish from the British Isles which have been either seine-netted or line caught. Our Haddock is naturally smoked, which means it has not seen any dying process. South-west herrings are currently too small for a hearty appetite, so we source ours from the North Sea, landed in Scotland. These come from south Devon and are all free range. They’re reared on a low density GM-free diet which is completely free of antibiotics or growth promoters. We use rolled haunches of red or Fallow deer, reared in a Hampshire deer park. All our packaging will ensure our product arrives with you cool and ready to devour. The boxes, ice packs and insulated bags are reusable and not only functional but finish off a present that you would be proud to give and thrilled to receive.